Libby and her big sister Bella used to be close, but lately it's felt like Bella is a closed book: she's sarcastic and mean and obsessed with her boyfriend. Then there's six-year-old Grace, the baby of the family. Whenever Mum and Dad aren't at work, it's all about Grace. So where does Libby fit in? Things change suddenly when the girls move to the tiny village where their dad grew up – as their bossy Aunt Thecla has offered to pay for them to go to a posh new school. Libby doesn't mind, but Bella can't bear to leave her boyfriend behind. I received this book from Bloomsbury Australia before the Christmas break, and since I really enjoyed Cherry Blossom Dreams a few years ago, I was looking forward to starting this one. Libby is the middle child. Her older sister Bella thinks she's too young and dorky to hang out with. Plus is way too obsessed with her boyfriend anyway. And her younger sister Grace is the baby of the family and too little to hang out with. Libby feels like she's stuck in the middle, and always out of the spotlight. Now that her family is moving back to the village her father grew up in, all of their lives are about to change. They'll have to share a room, they'll all be going to a new school, and will now see their snobby Aunt Thecla every single day. Libby's family appears quite normal: Mum is a dentist, Dad is a web designer, older sister Bella is almost 16, Libby is almost 13, and the youngest Grace is 6. But that's only on the surface. Mum is busy and constantly caught between disliking her outspoken sister-in-law and respecting her. Dad works from home and is super protective, plus refuses to talk about his past and is always angry with his sister. Bella is selfish, self-absorbed and only cares about her boyfriend. Grace is a cute and adventurous kid willing to learn. And Libby... well, she just wants to fit in. She wants to make friends, and hates feeling like she's invisible because of her two shiny sisters. There was a lot to like about this book--how well it was written, how the spirit of childhood is captured, and how well the characters are portrayed. I really liked Libby, but constantly got frustrated with Bella. That girl was infuriating! 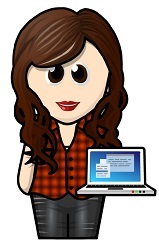 I didn't like how easily she manipulated Libby with fake interest. Bella was truly awful, so when her truth comes out it helped make sense of some of her behaviour. Everyone masks their fears and insecurities in different ways. This story also did an awesome job at exploring family dynamics. I also really liked Aunt Thecla. I loved how the family saw her as a stuffy spinster without a filter, but she turned out to be such an interesting woman with an intriguing past. 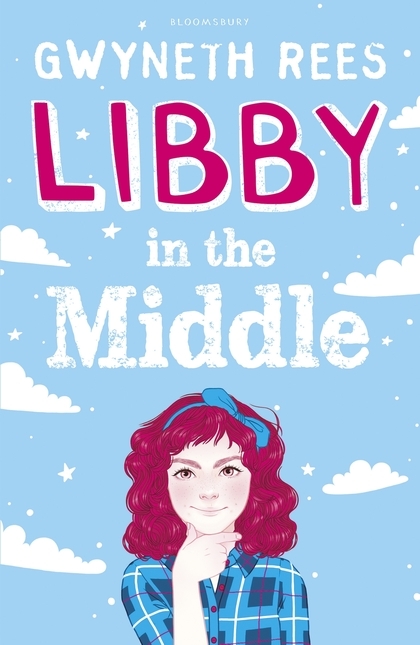 Libby in the Middle is a charming story about family, friendship, growing up, and what happens when all these threads collide. It was a fast read that caught me by surprise. I was entranced by Libby's voice and as soon as the story started to unravel, I was so hooked I pretty much read the book in a day! I couldn't put it down.